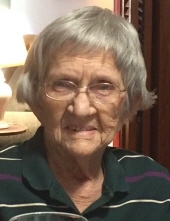 Bessie Marie Prince, age 94, passed from this life on March 23, 2019. Born March 28, 1924, in DeKalb County, Georgia, she was the daughter of the late Walter L. Prince and Jane C. Prince of Decatur, GA.
Bessie graduated from Southwest DeKalb High School in 1941 and Atlanta School of Commerce in 1942. She spent most of her working career as Trust Officer for the Trust Company of Georgia bank, retiring after 42 years of service. She was also a partner and administrator for Wing’s Photo Service for many years. Bessie was a member of Hardeman Primitive Baptist Church for 77 years and was the oldest member of the church both in age and years of membership. Bessie loved gardening and growing beautiful flowers, especially roses. She lived her entire life and died on the same property on which she was born. She is preceded in death by her parents; her sister, Daisy Prince; and her brother, E. Carl Prince. She is survived by her sister, Betty Prince Harber, of Decatur, GA; her nieces, Carol H. Brown and her husband, Robert, of Conyers, Donna H. Backus and her husband, Mike, of Lilburn, Jane Harber, of Decatur, and Vicki P. Dennison and her husband, Steve, of Montana; great nephew, Tab Brown and his wife, Allison, of Rome, GA; great niece, Sabrina Brooks and her husband, Mark, of Tallapoosa, GA; five great-great nephews and one great-great niece. Anyone wishing to make a contribution instead of flowers may make it to Hardeman Primitive Baptist Church, Attention Betty Harber, Church Clerk at 1847 Derrill Drive, Decatur, GA 30032. Family will receive friends at A.S. Turner & Sons Funeral Home from 4:00 p.m. – 7:00 p.m. Tuesday, March 26, 2019, and again at 1:00 p.m. at Hardeman Primitive Baptist Church prior to the service at 2:00 p.m. with Elders David Smith and Charles Chapman officiating. Interment will follow in the church cemetery. To send flowers or a remembrance gift to the family of Bessie Marie Prince, please visit our Tribute Store. "Email Address" would like to share the life celebration of Bessie Marie Prince. Click on the "link" to go to share a favorite memory or leave a condolence message for the family.